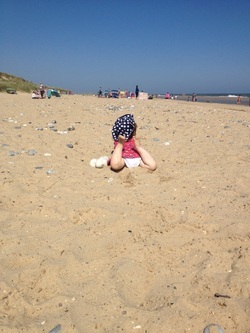 We took Amelia here when she was only just crawling. It was one of my favourite beaches before having a baby. It is particularly famous as the capital of crabbing, which I used to do a lot when I was little. It also has a nice beach with a mix of sand and shingle. The lovely picturesque village has a pub, a couple of cafés and gift shops and an art gallery. There are public toilets near the entrance to the car park, which has a fairly high entrance fee, and a bit of a walk to get to the seafront. Still, it is a lovely place to come with a bucket and spade and build castles, collect shells, or have a nice dip in the north sea! 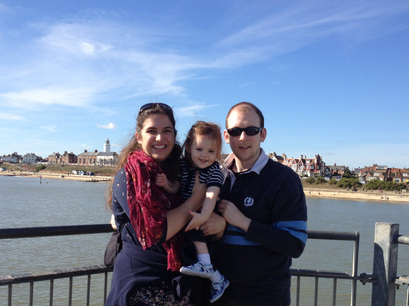 It is walking distance to Southwold, or you can take the foot ferry during the summer. 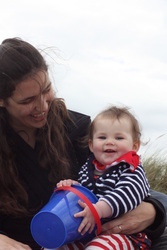 Our first trip to the seaside with a walking toddler was to the very beautiful, and quiet Dunwich, to the south of Southwold. As a National Trust site, it is less commercial than some of the nearby beaches, and is a haven for nesting seabirds. 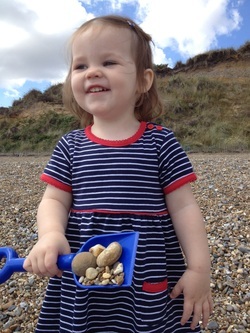 It is mostly a shingle beach so not great for sandcastles, but great for collecting stones! As it is run by the National Trust, there is a parking fee for non-members. The café was similar to other National Trust properties, a vast selection of cakes and scones, and lovely tea in a great location at the top of the cliff with a great view. There is a little gift shop and an outside eating area with a few things to play with, including a wooden boat, which was very popular with Amelia. The toilets are across the car park from the café. Dunwich Heath is a short drive away from the RSPB site of Minsmere Nature Reserve, which is also worth a visit. For information on the shop and café opening times, as well as directions, go to the National Trust website here. Alright, not technically in Suffolk... A lovely little village to the north of Great Yarmouth, this was the first time I had visited Winterton-on-Sea. It boasts on its website that it is uncommercial, and there are no amusement arcades spoiling the natural beauty of this very sandy beach. It is a little fishing village and is very popular with families. 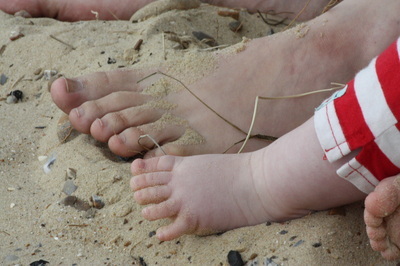 There is a fantastic "lagoon" area in the sand, which is ideal for toddlers as the water is shallow and warm. There were some incredible sandcastles and plenty of kites being flown. It is a hotspot for spotting seals and terns, and this year, a humpback whale! There is a beach café and toilets next to the car park, which does charge for entry. Behind the sea front is a gorgeous area of heathland and dunes which you can explore. We will definitely be returning here next summer! For more information about the village, visit the Winterton website here, or for information about the dunes and coast, visit the Natural England website here. A firm favourite for many people living in Suffolk, and it's not hard to see why. Immaculately kept, it is one of the most iconic and picturesque towns in all of East Anglia. With its famous beach huts stretching out along the beach front, and the beautiful pier with querky shops and cafés, a town centre with plenty of boutique shops and towering lighthouse, this is a beach with something for everyone. 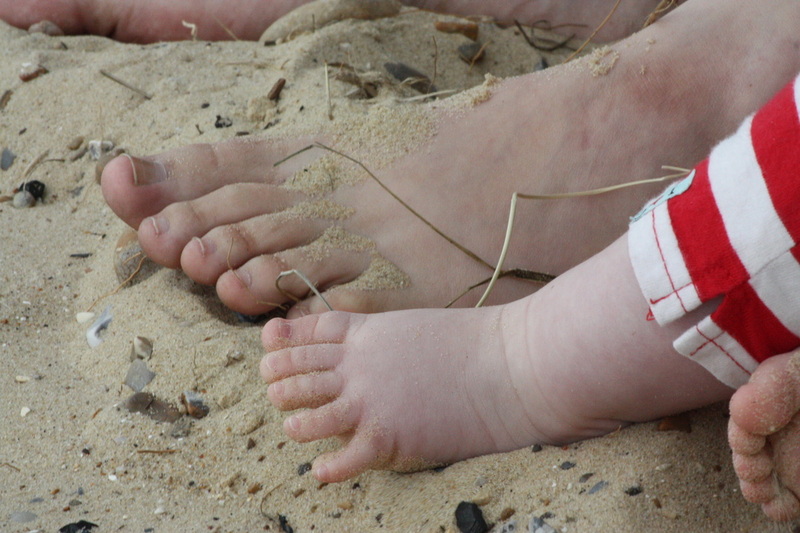 The beach is small enough for toddlers to have some shelter, with plenty of sand for castle making. There is a promenade the whole length of the sea front, with handy stalls selling buckets, spades and drinks and snacks. There are various car parks, although the last few times we have been, we just parked on the street near the beach. 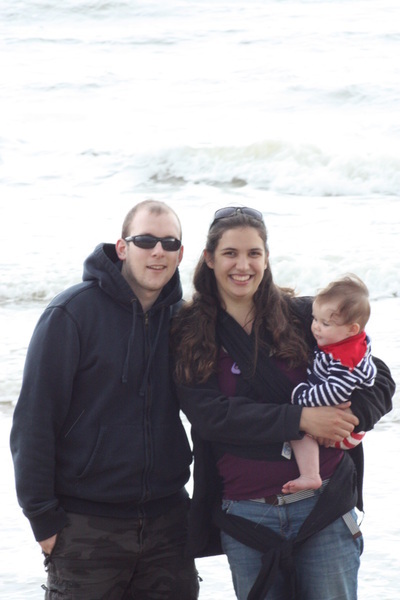 If you are after picture-postcard style photos for your seaside holiday, this is the place! 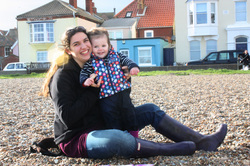 It is a stone's throw from Aldeburgh, Dunwich and Walberswick, which you can get to on a little pedestrian-only ferry. 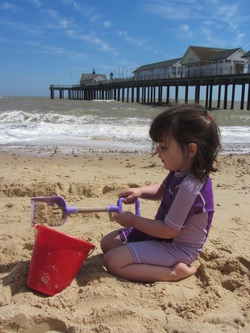 For up to date information about the town, parking and events, visit the Southwold website here. As the beach I probably visited the most as a child, Aldeburgh is another iconic Suffolk coastal town well worth a visit. A very pebbly beach stretches for miles and is littered with beautiful boats, and surrounded by some fantastic and very old buildings including the famous Moot Hall. You can very easily walk or cycle along the sea front to Thorpeness, another glorious coastal town with plenty on offer, and Aldeburgh is only a short drive away from the fabulous Snape Maltings and Orford Ness. It has a very lively town centre, with a variety of shops and restaurants on offer, and at least two fish and chip shops... Although we loved collecting the stones, it is hard work underfoot for a toddler, so wellies would be useful! The thing I really like about it here, is that you can visit any time of year and it is still fun. 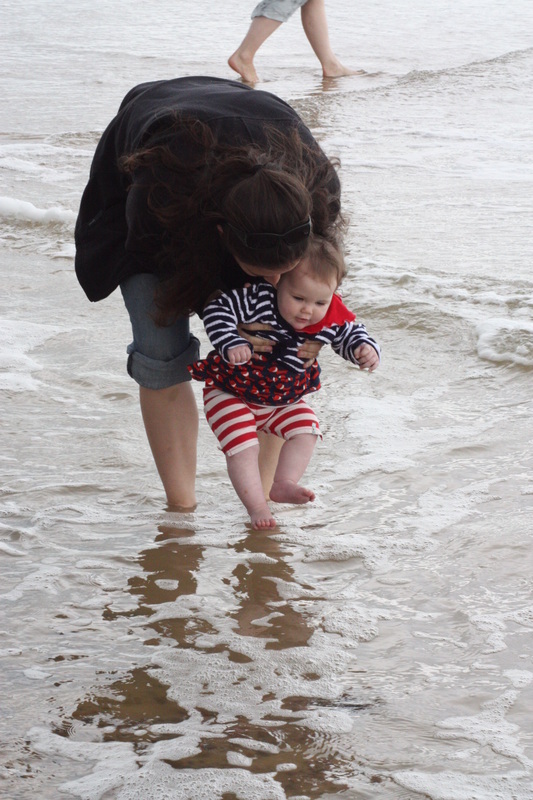 We took Amelia for her birthday (mid-November) and still went in the sea and had a great time. For more information and for up to date news and events (including the very lively music scene!) check out their website here.